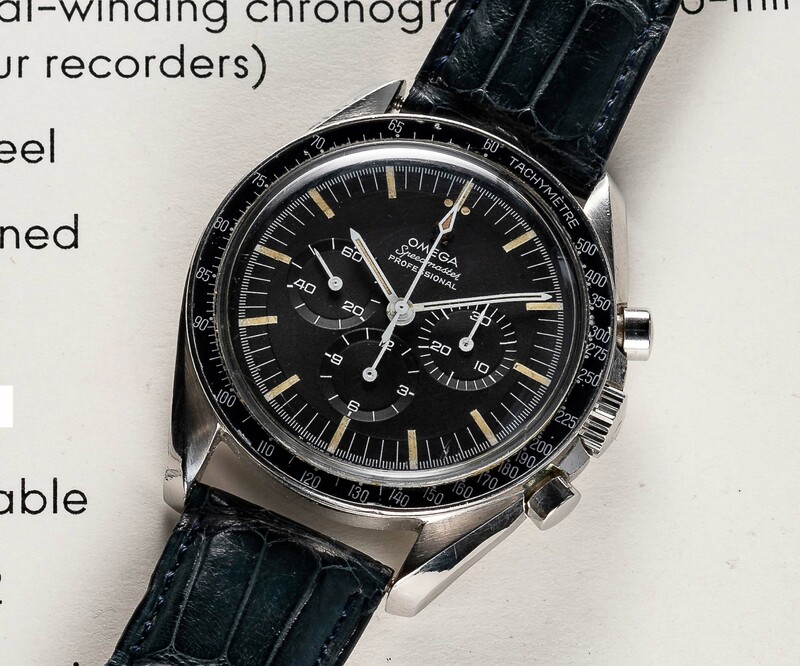 Watches of Knightsbridge are having a watch sale on 3 November 2018 in London. There is as usual a huge variety of manufacturers and qualities and I would urge anyone who can to view this in person, as it is a rare opportunity to see so much in one place. The firm has raised their game in presentation but have been caught out by the Ultraman, as they originally presented the wrong number on the extract. I have some sympathy for them as it appears to be a typo. In general I would say that as a group this is the highest standard of Speedmasters I have seen at WOK to date. All images here are links to WOK and have not been harvested or held on my servers. All images have a lot of dust, and some are over exposed, leaving hard to fully appreciate condition. As I said before, viewing this auction is important to get a true impression. Every sale will be subject to a buyer’s premium of 20%+VAT (24% inc. VAT) on the hammer price. 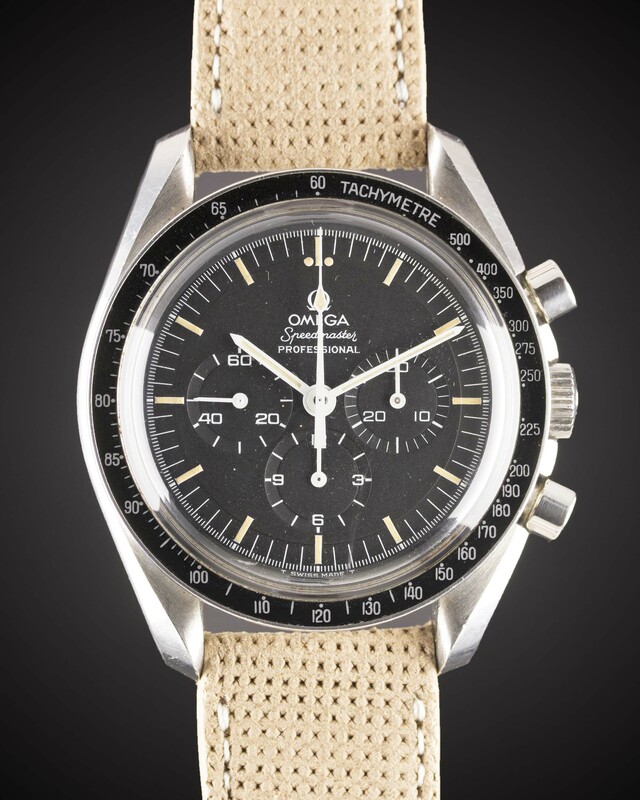 A simple and correct example, with a good bezel and dial, all in above average condition. It is probably estimated on the high side, but it does appear all correct. The trouble is at this level the difference between fair price and high is perhaps GBP 500. So it makes a difference if the watch needs to be serviced, and if it has the correct bracelet. This one has the service, which is good, but the bracelet is a later service item, being 1171/1. 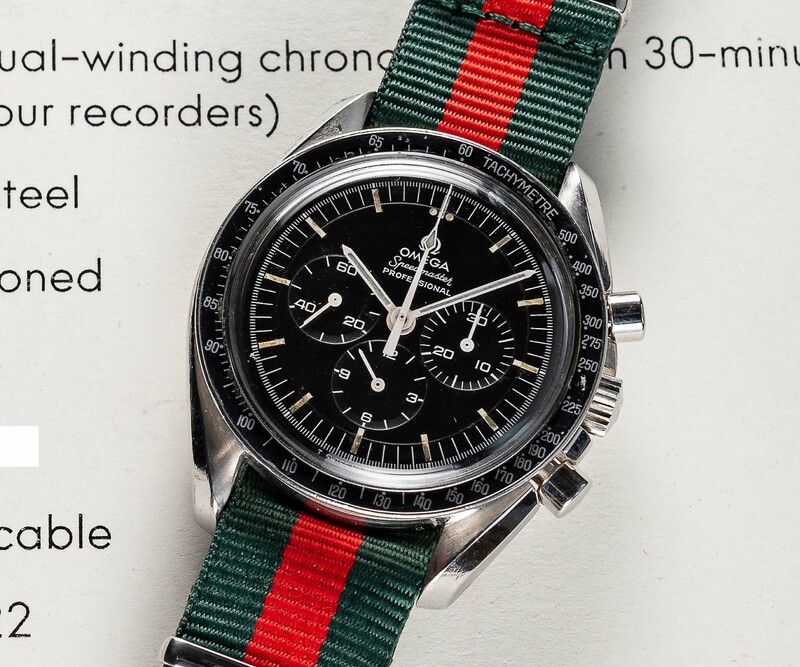 Still this watch is worth having compared to some I have seen, and the higher price might easily be forgotten if it is as nice as I think it might be. A very rare, NoNasa case back with extract. Lets hope all that dust is on the crystal and not the dial – it is probably dust. The watch itself looks very nice. The case is good, the dial has a hint of colour if I am not mistaken and the hands bezel and crown all look in good condition and correct. It has an extract, and I expect this rare reference to attract strong bidding in this condition. If I did not have one I would go for this. Portuguese import marks, which may make it more interesting to someone. Interesting that the extract shows 1970 release date, and indeed the extract is a welcome piece of mind. Watch has severe chrono creep and so will need a service immediately. The dial Looks attractive – it has a hint of tropical to me. I think the watch needs a good watchmaker, and I am a little concerned because the pushers look recent, indicating work, and therefore I wonder did they just change the pushers, or has it been serviced badly? It really does not matter, this is an interesting watch that a decent service will bring up to standard. My feeling is that the price is a little high but it will sell as I think it might be very attractive in hand. For me as ever it is better to over pay for an attractive watch than buy a bargain which does not please visually. I like a transitional, but this one makes me hesitate. I would want to satisfy myself those lume plots are original. I am really in two minds about them – or at least I cannot make up my mind. 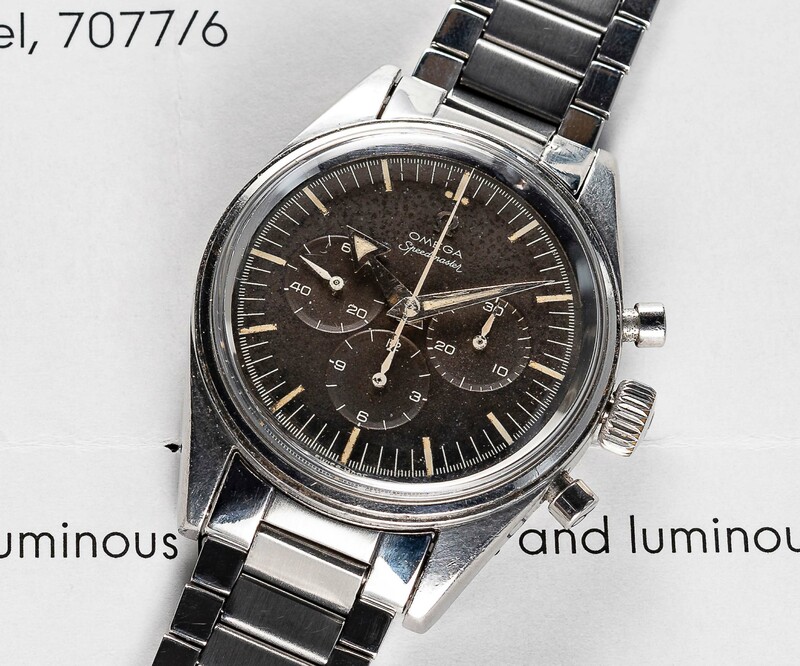 First, there is signs of the lume blurring off the plot onto the dial, (blow up the photo inspect the 6 and 7 o’clock plots – I would do it for you but WOK have asked me not to reproduce their photos – the ones on this page are links, not reproductions). Secondly, the plot colour is strong, unusually yellow, and uniform throughout. However the colour impression may be caused by the inferior photography. That said I find the body colour of the dial itself very attractive. The bezel is chipped to an unattractive state. The case looks nice and in general the watch might be a good buy at a certain level. However I would not buy without seeing those plots under a loupe. 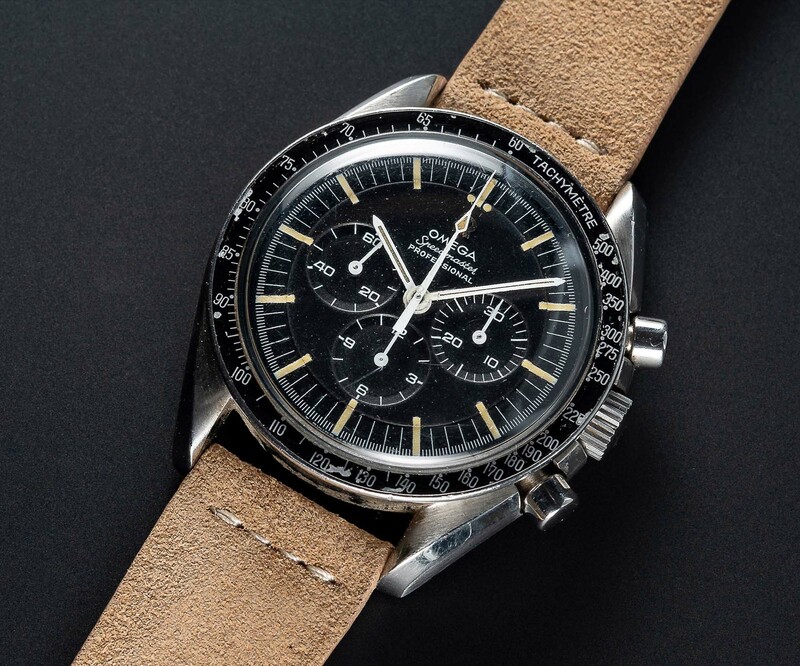 I have a feeling I would like this watch in hand, and it is not crazy money for an auction. Immediately apparent to me is the vary attractive dial. The hands are in excellent condition. The pushers are old and dirty, and I suspect they and the crown are original. In fact I suspect this watch is quite original as it looks dirty, and the bezel might improve with a simple clean. This watch will be transformed by a proper and sympathetic service, (keeping all the parts of course) and I like it. Bracelet is not the usual one associated with this reference, maybe it is an export market bracelet. It is marked Omega, and it does not worry me unduly. While this is indeed brown, it is not the lovely warm colour I associate with high prices, but I would say this one will sell. Personally I do not like this colour enough to pay a high premium – for me the dial is decaying, not fading or changing to brown. Do not misunderstand me, I like it as an object, but over paying for it might be regretted later. The trick with this watch is to view it at least three seperate times. If each time you see it, you think, “Oh, it looks better than I remember it” then it is a buy. If each time you see it you think, “oh, I thought it was better than that” then do not. That is my method. Since I have not viewed it yet I will hold judgement. I might add finally I know of no other 220 bezel watches with a dial that looks like this, so it is at the very least an Outlier. The bezel on this one is the rare 220 miss-print and the serial falls in range as specified in the updated MWO information. 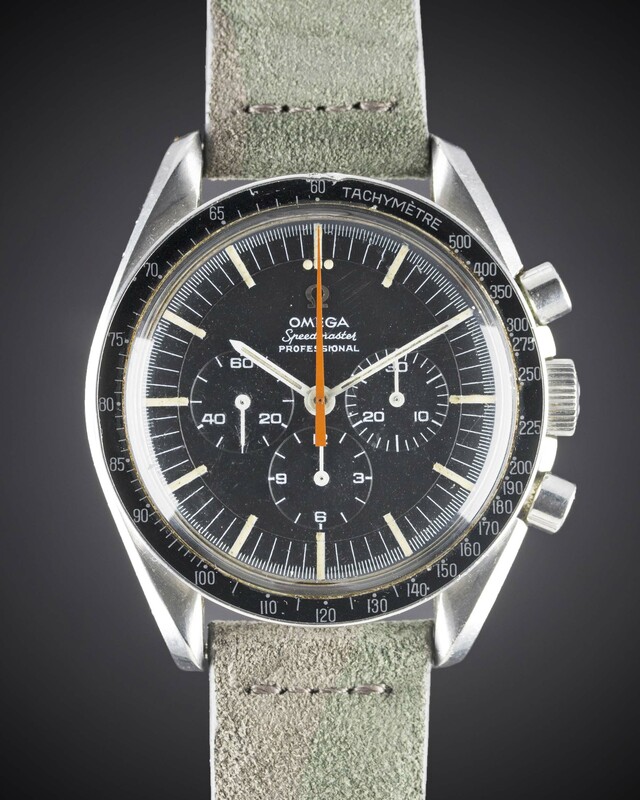 This is another interesting watch, if at first glance expensive. Price aside I like it very much. The dial is an attractive browninsh colour (much more attractive than the previous lot) and the pulsation bezel is an original vintage one, as evidenced by the line just under the numbers. 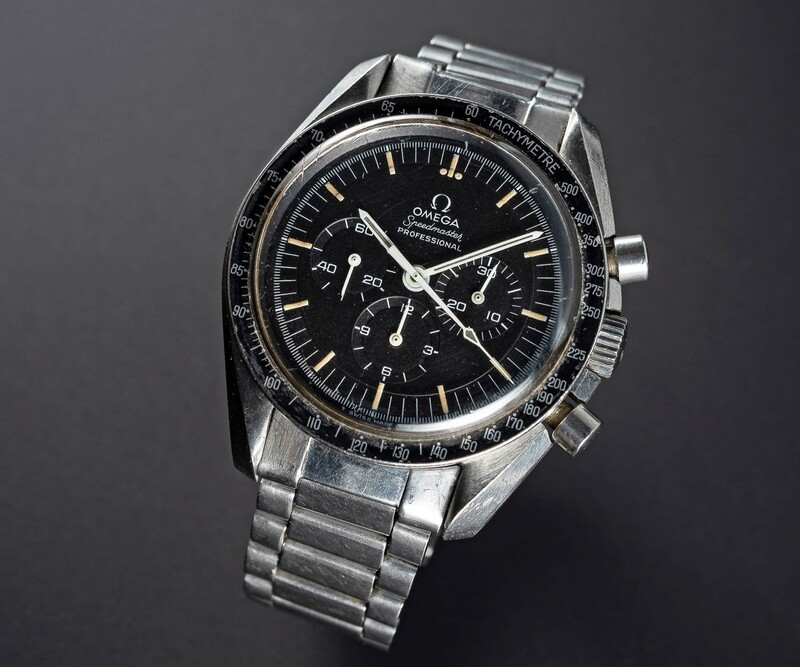 The whole watch has an air of use about it, (patina if you will) and I like that – it makes me feel it is original. 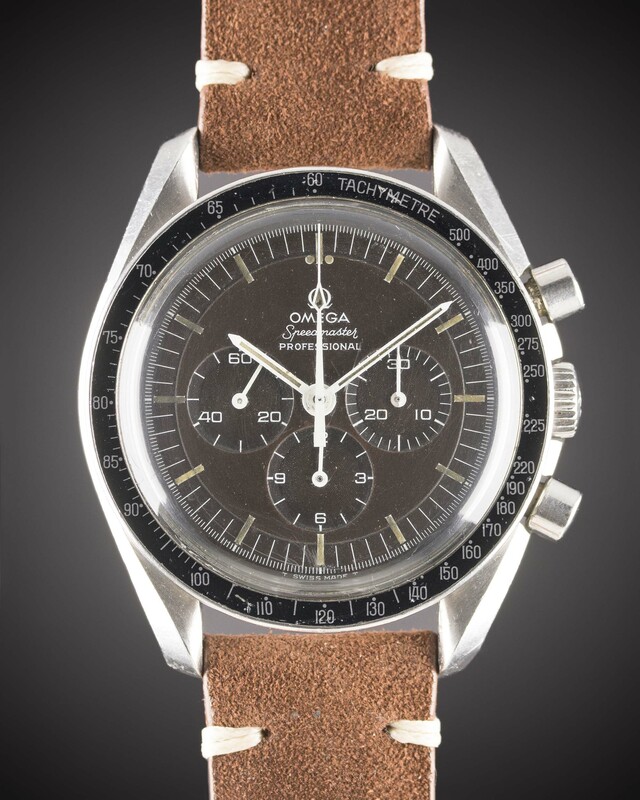 The bezel is lightly damaged, and this adds to the overall impression this is an original piece. It is a lot of money, for a 145.012 without a DO90 bezel, and I personally do not value the pulsations on a par with the DO90, but I think others are starting to – it is after all rarer. So I shall watch this watch with interest. I think it is one of those watches to be bought high, but with no regrets. I think there is something coming I am going to call “The curse of the Ultraman!” It seems anyone who has anything to do with them publicly gets attacked. This is due to the massive rise in interest, and therefore values, in what is essentially an Orange hand – and the ease in which one might be fitted – though as yet I do not think that has happened due to the longer length than is available. 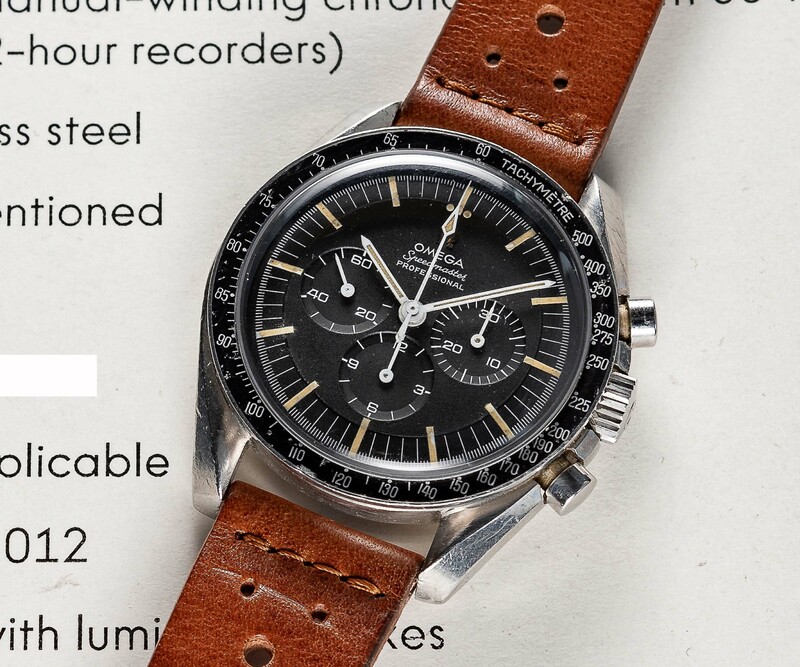 (And perhaps a blacker dial, but I think the dial is not unique(?). Watch that statement invoke the Ultraman curse! It fits with all the perceived requirements, the long reddish orange hand, and extract, and also the black dial. However as mentioned, there is some confusion as to the veracity of the extract – I am sure this will be sorted out before sale and either WOK will have the correct extract or it will not, and it will no longer be an Ultraman. The Curse Strikes Again ! I would guess the paperwork will all get sorted out, and we will see a good result, enabling us to peg the real values of these watches. Lets assume the extract pans out. Then we are looking to check the Orange hand. That appears to be long enough to be a real Ultraman hand. I cannot tell if the dial is one of the black glossy ones that people more knowledgeable than me say should be on an Ultraman, but it may be. The bezel is very good but has a damage at the top. Interestingly the front page of the WOK website has a better image showing clearly a glossy dial and slightly reddish Orange hand. To be honest, a lot of the fun has evaporated from the Ultraman as many of the people voicing opinions have been quite unpleasant to each other and left a bad taste in my mouth. The Auctioneers have done some research and attributed the number on the lugs to Cartier, which is interesting – although the estimate does not seem influenced by this. It will be interesting to see how the market reacts. The watch itself is good, with original pushers. I personally like the HF case on the 66. The dial is nice, the pushers have fat necks, the hands are in good condition. Overall I like this watch, and the estimate is not crazy. In fact I think it is the best value here. I cannot understate how interested I am to see where this goes. 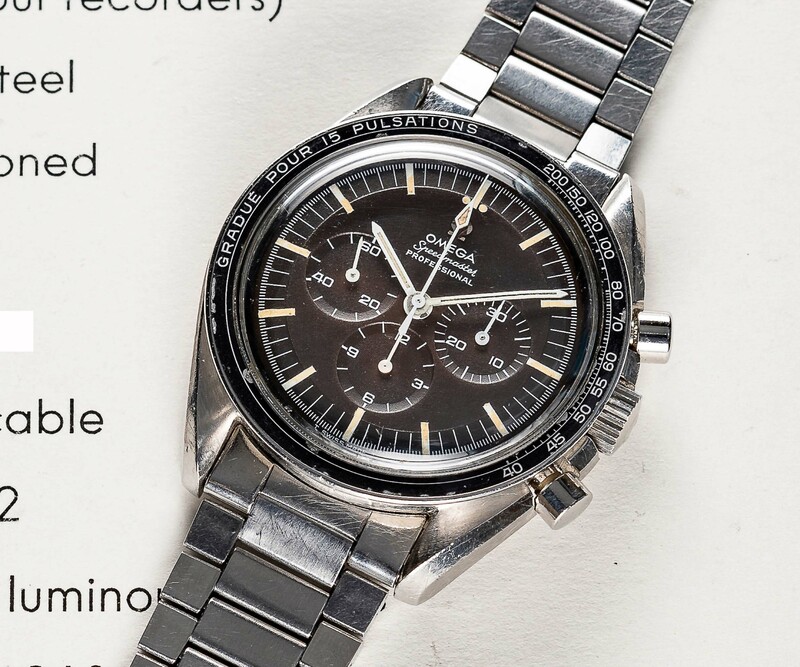 The dial is flat oval Omega, and decayed, blotchy in the way I have seen in a few 2915’s – which I find attractive. The extract is from 2008 so I would want a new one, which might not be forthcoming. 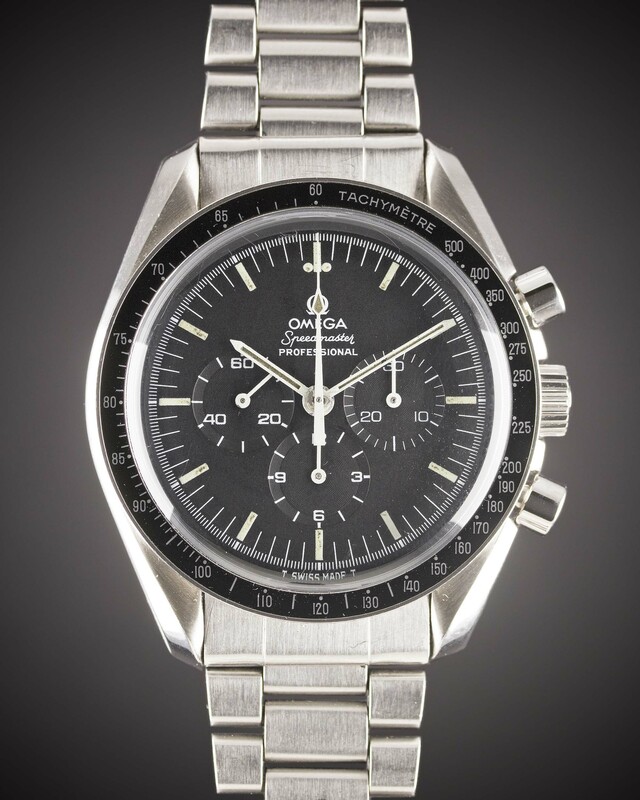 However the serial looks ok, and the rest of the watch looks good. One of the things to look for in 2915’s especially those we mght consider projects, is the condition of the case. Some of these old references seem to be susceptible to corrosion, especially at the case join. This one seems to have escaped that, adding to the attraction. Another 105.012 this one delivered to Japan, so we might think it could be in better condition as the Japanese do take care of things….sweeping racial judgement but they do. This watch has the fat neck pushers. and is in good condition, let down a little by the bezel. The dial and hands are in very nice condition. The case must have had a little polish as the facet lines are not as obvious as some. I am sure it will sell well.